Why is cash-rich Reliance Industries raising debt? 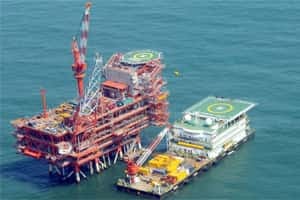 At a time when many analysts are wondering how Reliance Industries Ltd will utilize its mammoth cash flows, the company is in the market to borrow some more cash. According to a report in The Economic Times newspaper, Reliance has appointed three foreign banks to raise $1 billion through a 10-year dollar-denominated bond issue. The ground reality is quite the opposite. At the end of September, it had cash and cash equivalents worth $12.6 billion. In October, it received $5.2 billion from BP Plc, the remaining consideration for the stake sale in its oil and gas blocks. In addition, it is estimated to generate operating cash flow of around $6 billion each year in the next two-three years. While the company does have capital expenditure plans for its energy business, particularly in petrochemicals and exploration and production, it adds up to only $12-14 billion in the next three-five years, according to estimates of IDFC Securities Ltd.
Clearly, the company has more cash than it can use. Why then is it raising debt? The answer, quite likely, lies in the low cost of overseas debt. Reliance has investment grade ratings for its international debt from Moody’s and Standard and Poor’s. When it raised debt in August, it agreed to pay 150 basis points above Libor. One basis point is one-hundredth of a percentage point. The cost of debt, therefore, will only be around 2.5%. Its cash, meanwhile, will be earning at least 8-9% in domestic deposits. Of course, the depreciation in the rupee may eat into some of that differential. But again, Reliance now has overseas investments such as its shale gas ventures, which will neutralize the impact of currency movement. Additionally, the company has plans to invest approximately $15 billion in financial services, retail and telecom in the next five years, according to an IDFC report. Even so, while there are reasons for Reliance’s debt-raising initiatives, the company’s high cash position remains a concern for some analysts. This is primarily because the investment yield is far lower than the return on capital employed in operations, thereby diluting the company’s overall return ratios. Citigroup, which has a buy rating on Reliance, puts the “lack of clarity on deployment of cash and/or announcements on unrelated diversifications" as one of the five key downside risks to its investment thesis.